I love being a stay at home mom. Having the chance to spend time with my kids as they grow up is amazing! Making memories with them is super important to me and I’m extremely grateful that we’re able to make this lifestyle work. Don’t get me wrong, it can definitely be challenging and there are days where I wish I got to go to work, but more often than not I love being a stay at home mom. I know that this isn’t always a possibility for everyone. Our lives are all different and sometimes you need that extra little income. Being a single income household can be tough. Well, guess what??? 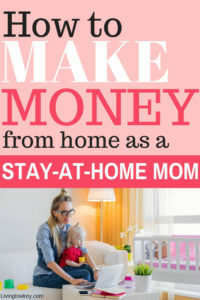 Just because you’re a stay at home mom doesn’t mean you can’t make money!! There are a ton of ways to make money and get to spend all day with your mini-me’s. 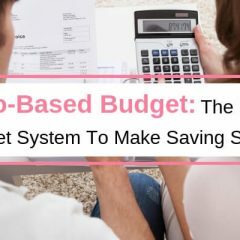 You're so close to getting your Free Budget Binder printables. Shortly you will be receiving an email from us. That email will contain your Free Budget Binder!! Make sure you check your spam box just in case and then add us to your known contacts! We're excited to have you in our Living Low Key community! I’ve been a stay at home mom for a couple years now. Towards the middle of 2017, I suddenly found myself feeling the need to do something for myself! I fell into a trap that many stay at home moms do, I felt like I wasn’t carrying my weight in the family. I know what you’re thinking, I’m crazy for thinking that! I stay at home with 2 toddlers daily and take care of the house. That’s more than enough work. I just needed something for ME! SO.. 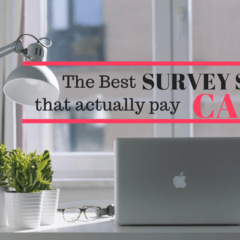 I tried different phone apps and survey sites to make money. I made a little money, but they didn’t do the trick. I tried being frugal and using sites like Ebates or Ibotta to get cash back when I shopped. Again, they worked and I still use them today but it didn’t fulfill my desire to make money. That’s when I came across BLOGGING!! I read all these success stories about people making 6 figures a month by running a website. The more and more research I did, the more I was convinced I could do this. So I went for it! I dove into the world of blogging head first, and that’s how Living Low Key was born! Start your own blog RIGHT NOW! Now keep in mind, when I started this blogging journey, I didn’t know anything about building websites, writing blog posts, or even how to promote a blog. I was completely clueless as to what I was getting myself into. I just knew that I had a story to tell and advice to give. I was determined to make this work! I’ll be honest, blogging isn’t a get rich quick scheme. No, it most definitely is not. Can you make really good money from a blog??? Absolutely!! (A year in and I can pay all of our monthly bills with my blog income). If you’re on the fence about starting your own blog, I’d say go for it!! What do you have to lose? The one thing I want to let you know as you start your blogging journey is to not get caught up comparing your beginning to someone else’s middle. There were many times where I felt like my site wasn’t growing fast enough or I wasn’t doing anything right. Heck, most days I still feel like I don’t know what I’m doing. Don’t get discouraged, the people making tons of money have been blogging for years. Yes, there are the few people who see explosive growth, but that’s not the norm. The average blog can take years to build up to being a successful business, you have to be patient. Did I mention blogging has been one of the most rewarding journeys that I’ve had!! Not only is it my outlet to life but it pays the bills and allows me to stay at home with my kids. How awesome is that!!! It took me a little over a year of hard work, but I had finally created a side hustle that pays our bills. I’m here to tell you that it’s possible for you to do it too!! If you’re a stay at home mom like me, seriously consider starting your own blog. Not only is blogging a viable way to make money online while in the comfort of your home, but it’s also a great way to help others. I can’t even count the number of people that have emailed me to say that they started budgeting their money because of a post we wrote. I love getting emails from people that say our blog has inspired them to pay off their debt. When I hear from readers like you, it inspires me to work harder to deliver the best content I can. I want you to be successful with your finances so you can make the life you live, a life you love! If you haven’t decided to start a blog by now, you will after you read how to get started the right way. There are a few key steps to starting and running a successful blog. When it comes to blogging, you have to have a niche or topic. 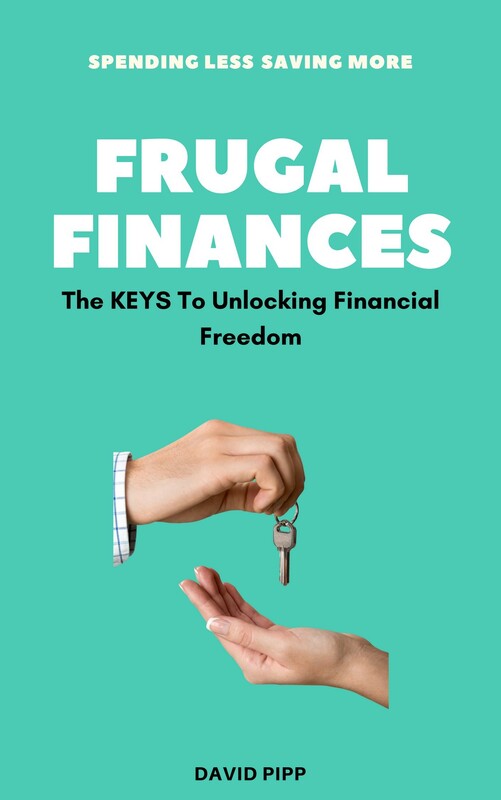 For us, we found our niche in something we are very passionate about, FINANCES!! 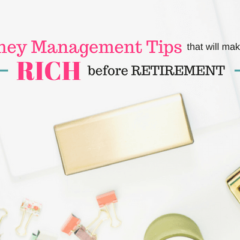 We love talking about saving money, making money, and planning for retirement. We’ve been successful in paying off debt and saving a ton of money so we can travel and hopefully retire early. 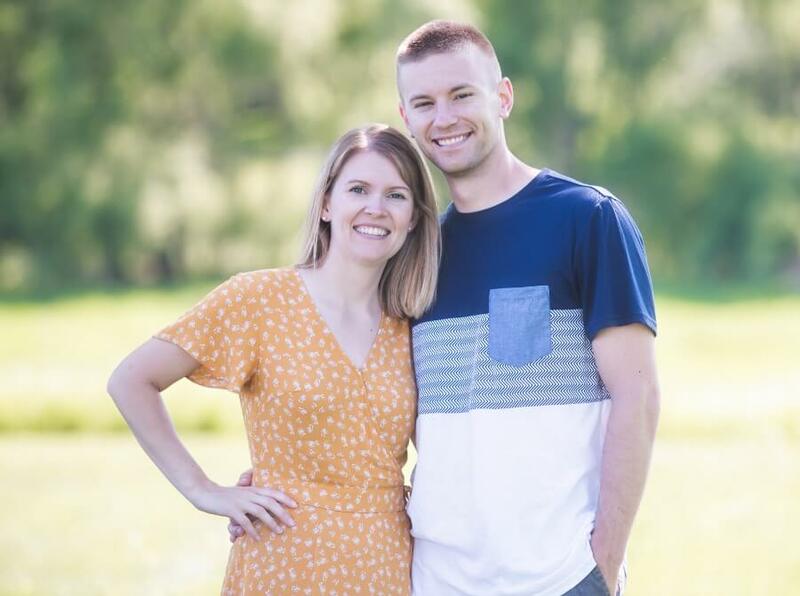 We wanted to share our story and tips with others so that made our niche selection easy. Once you have your niche all sorted out, it’s time to start looking for a web host service! Web hosting is the service that will allow you to publish your blog online. You can choose to go the free route with this, but I don’t recommend that if you want to make this a business. We have been with two different web hosts now. Bluehost is the one we started with. They were decently priced for a beginner blogger. As our site grew, we switched over to Siteground and we couldn’t be happier. The plans are still decently priced but the thing that really stands out to me is the high level of customer support. They seriously will fix anything for you. Got a problem with a page not loading, they fix it. Can’t figure out how to hide an image on a webpage, they can do that for you. It’s amazing what Siteground support does for you and how quickly they respond. Now that you have hosting, it’s time to choose your blog name (also known as your domain name). Here are a couple tips to keep in mind when choosing a name for your blog. Take your time with selecting a domain name. Once you choose a domain name you’re stuck with it! You’re now to the fun part, you get to start building your blog! It’s time to start putting your theme together and creating content. The theme of your website is basically the design and how things are laid out. We opted to go with a paid version of a theme from Pretty Darn Cute. There are plenty of free themes out there but we wanted to look as professional as possible so we went with a paid version. Once you have your theme all laid out, it’s time to get to the fun stuff. CREATING CONTENT!!! Once you have your blog up and running with epic content flooding the site, make sure you spend a lot of time promoting it. Social media is a great way to promote your site. You can check out our Pinterest Page Here to see how we promote our posts on Pinterest. So, what do you think?? Are you ready to start your own blog now? If you choose to start your own blog, I highly recommend you take a look at our Start A Blog Page. 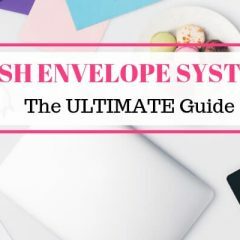 It’s going to give you some great tips for the whole process. 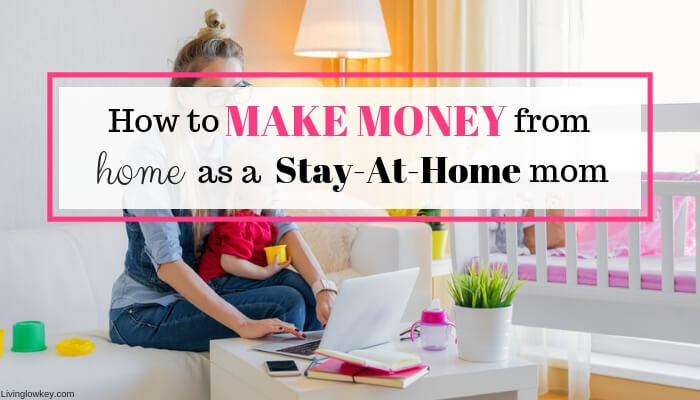 I’ve said it before and I’ll say it again, blogging can be a great way for stay at home moms to make some money. It takes some work, but if you stick with it, I know you can be one of the success stories!! If you enjoyed this article PIN it for later on Pinterest! Pinterest Strategies by Carly Campbell: If you’re struggling to develop a Pinterest pinning strategy, you’re going to want to check out the eBook, Pinterest Strategies. Carly, the book’s author, walks you through her strategy of manually pinning all her pins to Pinterest. These pinning methods have proven to be effective as she is getting well over 100,000 blog views per month from Pinterest! We highly recommend checking out her book, Pinterest Strategies if you’re new to the blogging world. SiteGround: When you are looking to start a blog, the first thing you will need is web hosting. Our web host of choice for Living Low Key is SiteGround. We have had a great experience with SiteGround. We find that the pricing is reasonable starting at $3.95 per month, they are fast, and the customer service is really top notch! Dare To Conquer: If there is one course that I think can really change the way you run your blog, this course is it! Dare To Conquer is run by Paul Scrivens, or better known as Scrivs in his online community. Paul runs multiple 6-figure websites so this guy knows what he’s talking about. This is by far the most in-depth blogging course I have taken and the best part is that Scrivs is super involved with the members of his community. Shoot him an email and a couple hours later you have a response from him. I can’t speak highly enough of this course. It literally covers all aspects of blogging. The course is only open at specific times. You can click the link here to see if it’s open and get started right away. 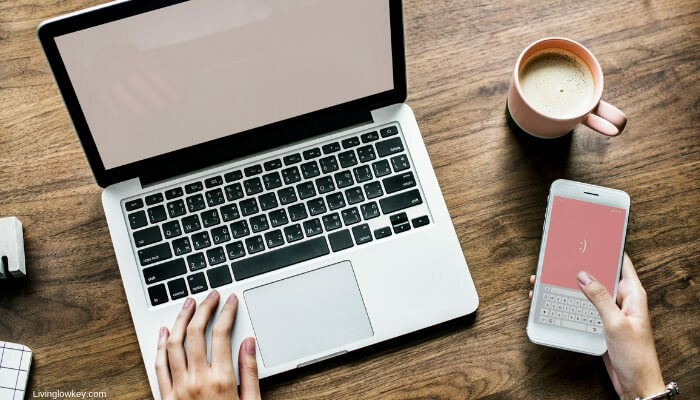 This course is expensive but if you’re saving your pennies to pay for a blogging course, I recommend this one over all other blogging courses! !